When you step off the Greyhound bus, there are a whole host of bus touts waiting to greet you and take you to their hostel. 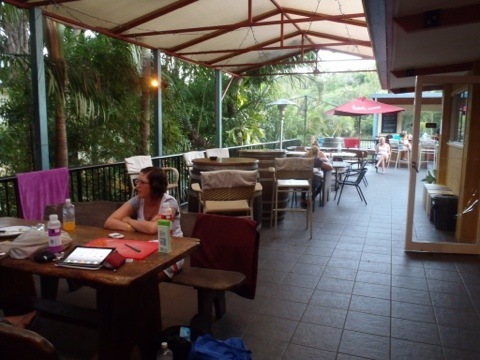 One of those hostels is Beachside Backpackers 1770, a quaint and homely little place, close to all the ‘action’ of Agnes Water. Upon arrival we had a few issues with payment, as I’d changed how many days we were staying after I’d booked online and they’d calculated it wrong (luckily I’d worked it out before we got there, otherwise thy would have overcharged us), but it was all sorted and soon enough we were checked in and settling into our 6-bed dorm room, with ensuite bathroom ($26 per night). In fact all the rooms are ensuite, although the size of the rooms varies from 4 to 10-beds. The beds are all bunks, and are comfy enough, although there’s not a lot of space between the top and bottom bunks…not even enough to just sit up comfortably, which can be a little annoying at times. In our first room we had issues with bed bugs (possibly brought by us from our last hostel), but the staff were perfectly understanding and quickly moved us to a new room, bug-free! 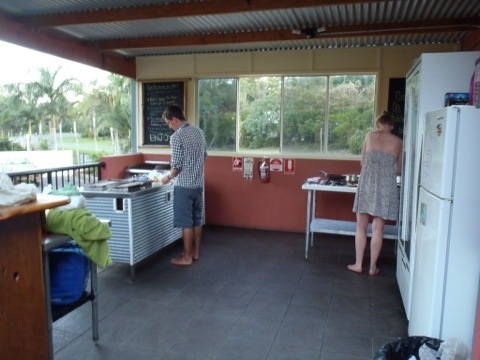 The thing that makes Beachside Backpackers so brilliant is the facilities and things on offer. 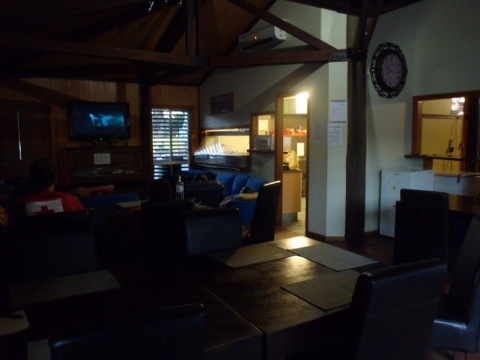 There is free WiFi and free use of the computers, a great kitchen – indoor (with oven) and outdoor (with BBQ) – a really comfy lounge area with wide-screen TV and plenty of movies available to watch, indoor and outdoor eating and chilling areas, a bar and ping-pong table, and best of all, free breakfast and free bread ALL DAY! Amazing. The hostel is close to the shops and the beach (about 15-20 minutes walk) and there are free bodyboards available. 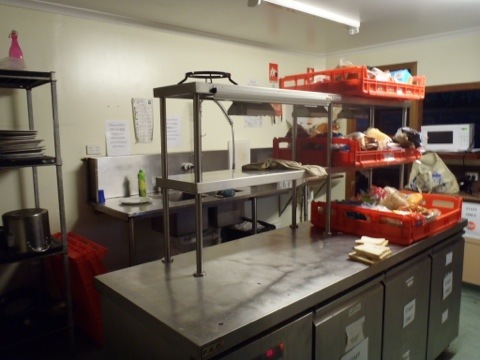 The staff are all pleasant enough and are always around to help out, although reception shuts at 8pm, so good luck trying to get anything after that! 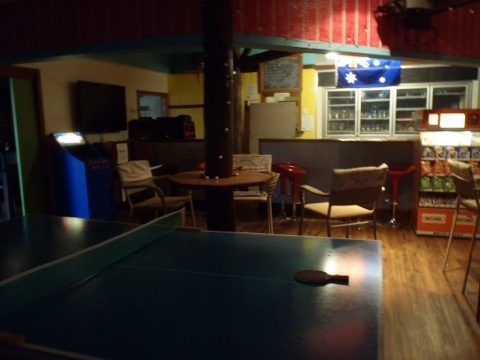 This place is great for a couple of days (that’s all you need to spend in Agnes anyway), and it has a really communal feel, meaning you’ll meet a lot of people during y stay…always a bonus.